Ahhhh Feta. Not only is the sharp yet creamy taste something to savor, you can basically to anything with it – salads, sandwiches, stuff it into things (other food I mean you evil people), drizzle it with oil. 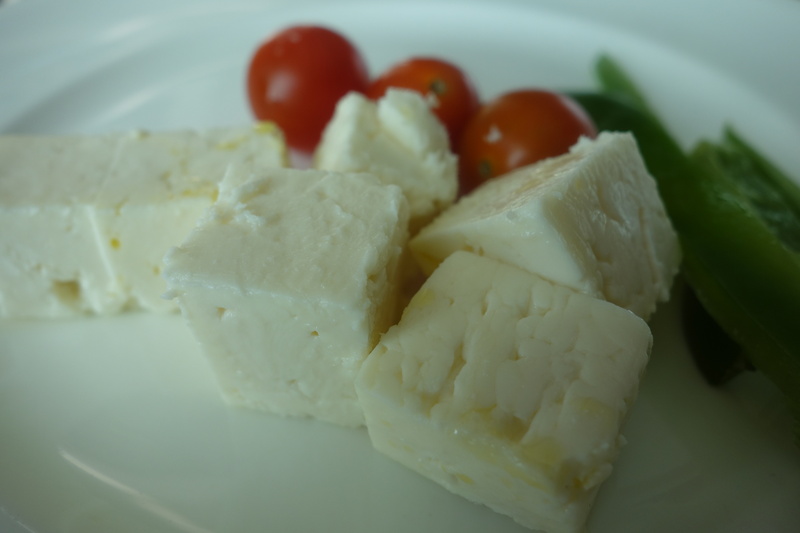 Back at Grand Hyatt Muscat for the weekend, I managed to convince them to serve up one of my favorite breakfasts -feta, olive oil and tomato on bread. I’ve written of this before, but the cheese on this occasion was a kind of feta I haven’t come across before. It was firm yet creamy and you can see the ripple marks from the basket it was brined in. 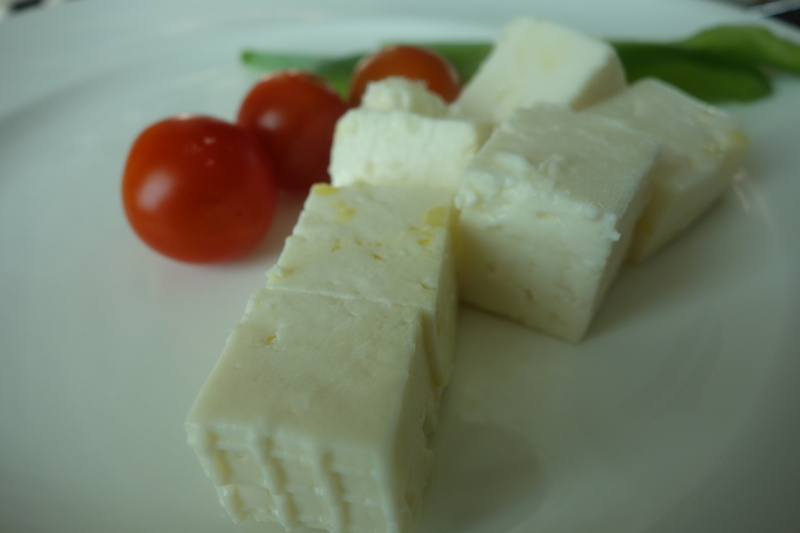 There was no comparison with the other types of feta, hard, almost rubbery and salty. This was almost spreadable. As i said, I may have discovered my new favorite cheese, for this week anyway.